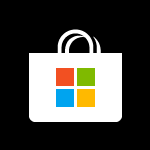 If you like, you can disable pinning the Store app to the taskbar for users. This will remove Pin to taskbar from the context menu of the Store app, and remove Store from the taskbar. This tutorial will show you how to enable or disable users from being able to pin to taskbar the Store app in Windows 8 and Windows 10. You must be signed in as an administrator to be able to enable or disable uninstall apps from Start. If the Store app is already pinned to the taskbar, it will be removed from the taskbar the next time the user signs in. 7. Restart explorer, sign out and sign in to Windows, or restart the PC to apply. All editions can use Option One above. 8. Restart explorer, sign out and sign in to Windows, or restart the PC to apply.